Getting business ideas in the Philippines can be a game of luck. The “aha!” moment may come when you least expect it–while you’re taking a shower, driving a car, or watching TV. But not everyone experiences serendipity. For most of us, we want to find a business idea because our situation asks for it. Whether you’re a college student looking for extra income, a corporate employee who is sick of running the rat race, or a housewife who want to supplement your husband’s income, finding a winning business idea is the first step towards achieving financial freedom. However, it’s easier said than done. That’s why I’ve scoured magazines, books, and the Internet to compile a list of profitable business ideas in the Philippines that only require a small capital. 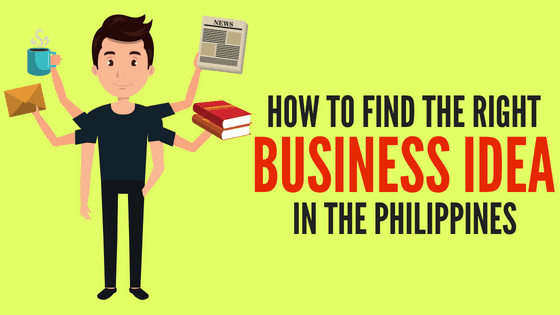 How to Find the Best Small Business Ideas in the Philippines with High Profit: 3 Steps. Step 1: Look for ideas within yourself. Step 2: Look for ideas around you. Step 3: Get inspiration from profitable small business ideas in the Philippines. 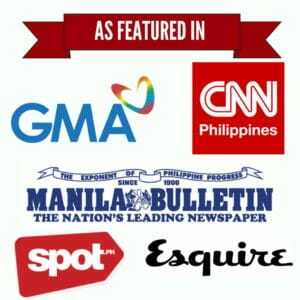 Best Business Ideas in the Philippines: The Ultimate List. To choose the right business idea, you also have to factor in your passion, skills, experience, and the current demand in the market. By choosing from the best business ideas in the Philippines that fit your values and market, you already have the battle half-won. A business idea that is not in harmony with who you are will not only make you miserable but also waste a lot of your precious time that you’ll never get back. This is why you don’t choose a business idea just because it’s popular or someone you know reaped great success from it. Amateurs pick any business idea they fancy. Pros only choose those that are in line with their passion, core gifts, and values. 1. Tap into your expertise. If you’ve been struggling to find a feasible business idea, look no further than your own experience and skill set. Regardless of what type of job you have or previously had, you most likely have a skill that can spawn a great business idea. Cooks can open small restaurants, waiters can launch a catering business, renal nurses can start a dialysis center, teachers can offer tutorial services, dancers can launch a dancing school, and so on and so forth. 2. Turn your hobby into an enterprise. Although there’s always a risk that you might eventually dislike your hobby once you turn it into a business, its money-making potential far outweighs it. Do you have a hobby that can benefit others too? Perhaps it’s time to explore its potential. For example, if you love baking cakes, you may offer made-to-order cakes on Facebook or focus on a niche like wedding cakes and dominate it. Gardening aficionados, on the other hand, may sell bonsai plant, garden fountains, or rent out the whole garden during special events like weddings. Even hobbies as obscure as collecting old toys may also profit from a buy-and-sell business model. 3. Put your technical knowledge/skills to good use. If you have had technical training from TESDA, you can also take advantage of it by opening a business based on the skills you learned. Earning a certificate in massage therapy, for instance, gives you an opportunity to provide massage services for a fee or hire other therapists to open a spa or massage clinic. For those who are adept in auto repair, you may consider opening an auto repair shop where you can offer your services and sell auto parts/accessories at the same time. 4. Fix something that bothers you. Can’t find a cosmetic product that cares for your sensitive skin? Formulate your own and hit it big like what Happy Skin did. Are you sick of the subpar and bland bread being sold by the only bakery in your barrio? Consider opening another one to give your people a better alternative. Every time you catch yourself complaining why this product or service isn’t available within your vicinity, or why no one bothers to improve what is already available, stop for a second. It could be a viable business opportunity ripe for the taking. Remember, entrepreneurship is all about problem-solving. No matter how small your pet peeve is, it might inspire you to create a product or business that will make your and other people’s lives better. 5. Choose an industry that interests you. There are people who are convinced they don’t have any passion or skill/experience that can potentially turn into a business. If you’re one of them, I suggest that you either look a little deeper or simply choose an industry that interests you. Who knows, you might learn to love it in the process and eventually make a business empire out of it. What matters is you don’t stop trying. a. Product industries are mainly about manufacturing and selling products. Examples: baking cakes, making pieces of jewelry, and producing children’s toys for the mass market. b. Service industries, as the name suggests, are service-oriented enterprises that provide either creative or technical/professional services in exchange for a fee. Examples: tailoring shops, call centers, internet cafes, beauty parlors, and repair shops. c. Process industries are only involved in one or two phases of the manufacturing process. This means that instead of making the product itself, these industries only provide vital components to create it. These could be initial operations on raw materials like cutting or sawing; final operations like packing; and skilled operations like testing and woodcarving. d. Subcontracting industries perform subcontracting work for other businesses. For example, to save on operational costs, subcontractors are hired by companies to find smaller shops to manufacture the components and supplies in smaller quantities. e. Trading industries include the sari-sari store and other businesses that profit through a simple buy-and-sell transaction. Another emerging example is entrepreneurs who provide soft drinks to restaurants which used to deal directly with the beverage manufacturers. Passion and grit won’t take you far if there’s no market willing to buy your product. You don’t just choose a business idea because you like it, you choose it because there’s a demand for it. At the end of the day, the end goal of every business is to profit. Consumer’s needs are at the cornerstone of every business. Whether it’s the need to belong, eat, sleep, or feel good, there’s always a business ready to provide it. It doesn’t mean you have to compete with the big dogs. If you’re thinking of starting a small business in the Philippines, there’s no better place to start looking for ideas than your own community. Look for a human need in your barangay or municipality that can only be fulfilled by going to another place. For example, if the nearest bakeshop in your place is 30 minutes away, consider starting your own so people won’t have to travel just to buy pandesal. Do expensive medicines weighing your people down? Perhaps it’s an opportunity to open a drugstore offering low-cost but high-quality generic medicines. Remember, the more problem you solve, the more likely your business will thrive. 2. Find a gap in the supply-demand chain. Being the first one to tap into a business opportunity definitely gives you a headstart. However, it doesn’t mean others can no longer join the bandwagon. It all boils down to the supply and demand. If the current demand for a product or service is high but the available supply (businesses) can’t keep up, there might be enough room for competition. For example, if there’s only one water refilling business in your place, one that can only serve half of the community, you should explore the possibility of opening another one to establish equilibrium in the supply-demand scale. 3. Create alternatives for imported goods. Also known as “import substitution,” this strategy aims to find products we usually import and tap into local resources to produce a cheaper alternative. On a national scale, this can be a very demanding endeavor. But you can always start anywhere you are. Find something that your community has to import from Manila or elsewhere and offer a cheaper product or service. The quality may not be on par with the original, but by highlighting what you have to offer–i.e., quality at a cheaper price–you can attract a market who will support your product. 4. Explore untapped local resources. The provinces can be a goldmine of business opportunities if you know where to look. Start with whatever is abundant in your area. Pili nuts? Turn them into candies and sell the finished products to tourists. Abaca fiber? Invest in this raw material and strike it rich by becoming one of the Philippines’ leading suppliers. Some local skills are also highly marketable. If you know several traditional weavers in your community, you can help them profit from their crafts by opening a handloom or weaving business. 5. Be on the lookout for the latest technology. E-commerce has opened a lot of online business opportunities that you can manage at the comfort of your own home. But innovations also abound in other industries. Research and development of DOST (Department of Science and Technology), for instance, has paved the way for agricultural products and ideas that have great profit potential. Examples are canned laing, vacuum-fried tahong, volcanic ash ceramics, and organic farming, just to name a few. Whether you’re starting an online business or traditional brick-and-mortar store, your goal should be to stand out in the competition. To do that, you don’t necessarily need to reinvent the wheel. By getting inspiration from business ideas that came before you, and then adding a unique twist that better serve your target market, you can create your own success story worthy of a feature in the Entrepreneur magazine. 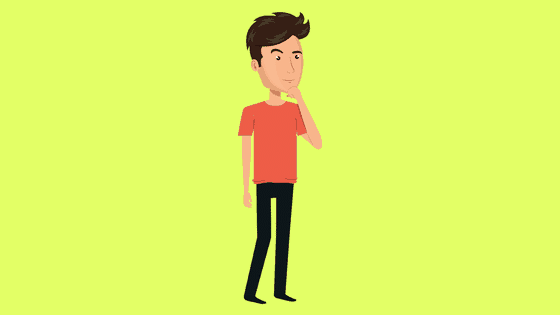 In this section, we are going to list down some of the tried-and-tested business ideas in the Philippines organized into different categories. Mind you, success in business is 1% inspiration and 99% execution. So use this list as an inspiration but never let forget to take action. Why it’s a profitable business: Filipino meals aren’t complete without rice. There’ll always be buyers regardless of price movements. Rice dealers earn good profit in high-traffic location (public markets and talipapa) with good storage area. Capital: Php 50,000 (home-based) to Php 250,000 (franchise). Ideal for: Filipinos looking for a business with affordable startup costs and guaranteed profits. High and steady demand from consumers who purchase by kilo and food businesses that order by the sack. Prone to pest infestation and early spoilage if storage is in poor condition. Hard to maintain rice quality in flood-prone areas. Why it’s a profitable business: Selling native delicacies like suman, biko, and puto is an affordable home-based food business idea with high profit potential. In fact, a kakanin business helped a mother fund her children’s college education. Capital: Php 500 to Php 12,000. Ideal for: Stay-at-home moms and office employees looking to earn extra income from home. Cheap and readily available ingredients. Business growth potential: Start selling in small quantities and later on produce bigger quantities and sell them to resellers and distributors for higher profits. All-year-round sales that peak during holidays. Why it’s a profitable business: Street food is cheap, which is why queues in stalls are always long. Selling street food returns great profits, too. Fishball vendors, for instance, make a net profit of Php 500 to Php 1,000 daily. Capital: Php 5,000 to Php 20,000. Ideal for: Street food enthusiasts with limited startup budgets. Low startup and operational costs. A wide variety of affordable street foods to sell. Appeals to a very diverse market (students, blue-collar workers, yuppies, etc.). Stiff competition in high-traffic areas. Tedious and time-consuming food preparation. Why it’s a profitable business: Even with tight competition, water refilling stations enjoy a steady income. Monthly net profits range from Php 20,000 to Php 60,000+. Capital: Php 80,000 to Php 800,000. Ideal for: People with little entrepreneurial experience who want to minimize the risk. High and steady demand for clean, safe drinking water in residential and commercial areas. Zero/low rental fee; can be installed in a space as small as 20 square meters and in a home. ROI takes time (six months to one year). Why it’s a profitable business: Bread is a Pinoy breakfast and merienda favorite. This lucrative business yields a net profit of Php 700 to Php 2,500+ per sack of flour or Php 2,000 to Php 6,000 daily. A former bus inspector, for instance, earned Php 500,000 in a year (or roughly Php 40,000 monthly) from his pan de sal stores. Capital: Php 120,000 to Php 150,000. Ideal for: Entrepreneurs with deep interest, patience, and commitment in baking and managing a bakeshop. High profitability with minimal investment. Requires a great deal of time, patience, dedication, and training to set up and manage a bakery. Price fluctuations of baking ingredients (due to competition and demand) that can affect the prices of bakery products. Why it’s a profitable business: Pizzerias offer customers convenience, which is why Filipinos often order pizza for parties, family and barkada gatherings, and corporate meetings. Capital: Php 50,000 to Php 850,000. Ideal for: Anyone with passion, skills, and experience in pizza business operation. Affordable and readily available ingredients. Easy to prepare and serve. Cutthroat competition with leading pizza brands. Requires pizza-making training and skills. Why it’s a profitable business: Filipinos are willing to pay for convenience when it comes to party and events preparation. Caterers are among the most sought-after suppliers for this purpose. Based on the latest data from the Philippine Statistics Authority, event caterers earned an average gross profit of Php 16 million. Capital: Php 100,000 to Php 1 million. Ideal for: Entrepreneurs with passion and experience in cooking who want to make it big in the food business. Quick ROI of four months. Working long hours, especially in the first few years of operation. Expensive startup cost (but financially rewarding). Why it’s a profitable business: Starting a food cart business on your own seems like a lot of work, but with the right location, concept, and product, you can make good money out of it. Capital (non-franchised food cart): Php 30,000 to Php 300,000. Ideal for: Inexperienced entrepreneurs with a small capital for selling a particular food they like. Low capital with a high income potential (creating your own food cart). Easier and cheaper to set up than restaurants. Flexibility in location (can move the food cart in a better area if the original one doesn’t work out). Cons: Need to build everything from scratch (from planning to execution) if you’ll start your own food cart compared to franchising one. Why it’s a profitable business: Small eateries, locally known as carinderia or turo-turo, are still the go-to places for customers looking for cheap home-cooked meals. With the right location, pricing, and menu, you can profit from running a carinderia with just a small capital. Capital: Php 15,000 to Php 25,000. Ideal for: People with culinary skills who live in high-traffic areas near schools and offices. Quick ROI in two months. High growth potential. One of the popular wedding caterers in the Philippines, for instance, started out as a carinderia with a capital of only Php 500. Unstable availability of ingredients and supplies due to seasonality and typhoons. Challenges in maintaining food quality and sanitation. Requires a great deal of time, passion, dedication, and patience. Why it’s a profitable business: Baking and selling cakes, cupcakes, cookies, or other pastries is an enjoyable food business you can start right in your home. It’s also easy to attract customers via social media and word of mouth. Capital: Php 15,000 to Php 50,000. Ideal for: Stay-at-home moms who love baking and want to turn their hobby into a home-based business. Low capital and high returns. Steady demand from customers who buy cakes and pastries for special occasions, snacks, pasalubongs, and gifts. Can be stressful when bulk orders are coming in. Requires experience in home baking or training in a baking course. Why it’s a profitable business: Ice cream is the Pinoy dessert favorite any time of the year. Getting an ROI takes around six months. Profit margins range from 70% to 100%, which means you can sell ice cream at double the production cost. Capital: Php 2,500 to Php 16,000 (homemade ice cream) / Php 100,000 to Php 450,000 (commercial soft-serve ice cream). Ideal for: Entrepreneurs who plan to put up a business near schools or those who enjoy making and selling ice cream. Simple ingredients and recipes for homemade ice cream. Quick preparation with commercial ice cream makers. A short shelf life of 7 to 10 days. Commercial-scale ice cream businesses expensive to set up. 12. Chicken Rotisserie (Lechon Manok) Business. Why it’s a profitable business: Roasting and selling chicken can be considered a negosyong patok. You’ll never run out of customers and suppliers. With passion and determination—plus a good location, you can succeed in this business with a modest capital (or no capital, like how Andok’s started out). Capital: Php 250,000 to Php 450,000. Ideal for: OFWs and balikbayans looking to grow their hard-earned money in the Philippines. Significantly lower startup cost than opening a fast-food outlet. Offers customers a cheaper alternative to fried chicken from fast-food chains. Tough competition against established lechon manok brands like Andok’s and Baliwag Lechon Manok. Need to come up with your own special recipe or sauce and offer better pricing to stand out. Why it’s a profitable business: “Tubong lugaw” (earning large profits from small capital) best describes lugawan businesses in the Philippines. A perfect example is Lugaw Queen that started with a capital of just Php 1,100, sells cheap bowls of lugaw, and earns as much as Php 50,000 daily. Capital: Php 1,000 (home-based) to Php 15,000 (mobile cart). Ideal for: New entrepreneurs who are willing to work long hours to maximize profits. Large ROI from little capital. Ease of business set up and food preparation (simple recipes and ingredients). Ability to offer extremely affordable meals. Cons: Can be taxing and stressful to operate, especially if the business is open 24/7. Why it’s a profitable business: The Philippine meat processing industry has been growing in recent years, offering a lucrative business opportunity. This food business can earn you as much as 100% profit. Some entrepreneurs even got rich producing and selling processed meat with a measly capital of Php 500. Capital: Php 1,500 to less than Php 20,000. Ideal for: Anyone with the passion and patience for running a processed meat business. Growing processed meat consumption in the Philippines that raises the demand for easy-to-cook products like longganisa, tocino, tapa, hotdog, and ham. Longer product shelf life (due to preservation methods) than unprocessed meat. Spending time and money on meat processing training courses (Each course takes from one to five days and can cost over Php 2,000). Quick spoilage if meat isn’t handled or processed correctly. 15. Meat Shop/Meat Retailing Business. Why it’s a profitable business: Most Filipino families consume meat daily. If your meat shop is situated in a strategic location, you can earn a high and steady income. Capital: Php 120,000 (own shop) to Php 3.5 million (franchise). Ideal for: Entrepreneurs who can find an ideal location (like a commercial space or market stall) for selling meat. Higher profit margins than other food items like rice. Stable demand (except during Lenten season) regardless of the economic situation in the Philippines. May require a huge capital (as much as millions of pesos) for franchising a meat shop. Need to invest in expensive equipment like a generator to prevent meat from spoiling during power outages. Why it’s a profitable business: Demand for palamig peaks during summer, but you can make money (around 50% to 100% daily profit) from selling cold drinks all year round. Capital: Php 1,000 to Php 3,000 (starters/home-based) to Php 40,000 to Php 99,000 (food cart franchise). Ideal for: First-timers who want to give entrepreneurship a try with a minimal investment. Simple and readily available ingredients. Sells cheap at only Php 5 to Php 15 per cup. Profitable addition to a street food business or kakanin business. Cons: Ingredients like buko and other fruits can easily spoil. Why it’s a profitable business: Tapsilog is the Filipino breakfast favorite. With its affordable price, this meal is so easy to sell. A tapsilog business offers a great potential for growth, as in the case of the famous Tapsi ni Vivian. Capital: Php 10,000 to Php 50,000. Ideal for: Retirees and work-from-home moms with cooking skills looking to earn extra income. Pros: No need to rent a space, as you can prepare packed meals at home for selling to neighbors, office workers, students, and jeepney and tricycle drivers. Cons: Requires a lot of patience and hard work, especially when you’re starting out. Why it’s a profitable business: Siomai is among the easiest businesses to set up in the Philippines. It yields at least 150% profit margin for a cheap startup cost. This food business also has a high earning potential, as proven by a couple who makes Php 50,000 by selling siomai. Capital: Php 2,500 to Php 17,000 (own business) / Php 160,000 to Php 280,000 (food cart franchise). Ideal for: Newbie entrepreneurs who want to make money through a food business that doesn’t require much prior knowledge and skills. No need for a big space; can be sold in a mobile cart. Cons: Requires tons of patience, consistent food quality, location with high foot traffic, and a good sales and marketing strategy to succeed. 19. Healthy Meal Delivery Service/Diet Delivery Program. Why it’s a profitable business: This type of food business is a hit among busy and health-conscious Filipino millennials lately. Its recent popularity comes from offering a convenient way to eat healthy, with low-calorie meals delivered right in the customer’s home or office. Capital: Php 3,000 to Php 5,000 daily. Ideal for: Healthy eating advocates who love to cook and want to capitalize on their passion to help others while making money out of it. Increasing demand for healthy and organic food among young professionals, celebrities, students, and even older people with dietary requirements. No need to rent a space or build a shop; all transactions can be done online. The challenge of keeping the freshness and quality of ingredients and preventing food spoilage. Need to invest in a vehicle or outsource a third-party service for daily meal deliveries. Need to consult nutritionists, dieticians, and other specialists for the recipes and meal preparations. Why it’s a profitable business: Providing financial planning services as a licensed professional can earn you more than Php 100,000 to Php 1 million per year, according to PayScale. Because it allows flexibility in schedule, even full-time working professionals can practice financial planning as a side business. Ideal for: Professionals in the field of finance such as accountants and bankers. Free or discounted financial education training. Fulfillment from helping clients get their finances in order and achieve their life goals. Need to prepare for and pass the Insurance Commission’s licensing exam to operate as a financial adviser in the Philippines. Intense pressure to meet sales quotas. Spending evenings and weekends for business meetings and servicing clients. 21. Digital Marketing/Social Media Consultant. Why it’s a profitable business: There’s an opportunity to profit in lucrative niches and attract high-value clients such as law firms and dental clinics that need digital marketing and social media marketing services to meet their business goals. Ideal for: Experienced digital marketing and social media marketing professionals who want to become their own boss rather than to continue to work as employees for companies. High demand from small and medium businesses in the Philippines and abroad, as digital marketing is more cost-effective than traditional marketing. No need to set up a physical office, as you can operate your business at home or rent a co-working space. Tight competition with established digital marketing agencies and consultants not only in the Philippines but also in other locations such as India and Australia. 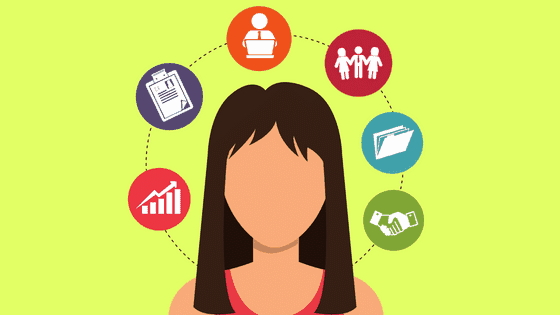 Intense workload, as you’ll be juggling multiple roles when you’re starting out until you form your own team. Why it’s a profitable business: Clients pay around Php 2,000 to Php 3,000 per one-hour life coaching session. The income can be higher when you do business coaching to high-level clients such as corporate executives. Capital: Php 35,000 to Php 50,000 (for investment in a computer, internet connection, and website). Ideal for: People with a passion for personal development, empathy, compassion, and people skills. Fulfillment from helping people improve their lives. Does not need to have a specialized degree or to be licensed, as the industry is unregulated in the country. Cheap business to start; you can start a coaching business from home. Need a lot of patience in dealing with clients. Need to set aside personal problems when talking to clients. Making the business stable can take quite a while. Why it’s a profitable business: On average, personal trainers earn more than Php 1,000 per session. Training celebrities is even a more lucrative business. Some celebrity trainers charge around Php 5,000 to Php 10,000 in consultation fees. Capital: Php 15,000 to Php 60,000 (for fitness training course and certification). Ideal for: Fitness enthusiasts with people skills and a passion for helping others become fit and healthy. Doesn’t require a fitness background or sports science degree. Helping clients meet their fitness goals and seeing results. Free gym memberships and other gym access perks. No guarantee of a stable income (Tendency to lose clients during off-peak season, like summer and Christmas). Unconventional working hours, like during late evenings and weekends (Depending on clients’ availability). Why it’s a profitable business: Image consultants usually work with high-paying clients such as politicians, celebrities, and business tycoons. It requires minimal investment, too. Ideal for: People with expertise in styling, excellent communication skills, people skills, and a network. Low startup costs; no need to set up an office, as the image consulting business can be operated from home. Sense of pride when clients become successful. Cons: Highly specialized niche; difficulty finding clients when you’re starting out unless you already have referrals. Why it’s a profitable business: Shopping for the rich and famous—such as celebrities, socialites, tycoons, and executives who are too busy to shop—can earn you good money. High-end department stores also hire personal shoppers to provide services for their premium clients. Personal shoppers charge around 10% of the total purchase they make for their clients. Capital: Around Php 50,000 (for a smartphone or digital camera, laptop, and website). Ideal for: People who love shopping (particularly clothes, shoes, and bags) with impeccable taste in fashion and networking skills. Allows you to earn money while doing what you love. Doesn’t require any degree or special training—just having a sense of style will do. Challenge of finding clients, especially when starting out. Need to have plenty of connections to access hard-to-find designer items for clients. Working in late evenings and weekends to have meetings with busy clients. Why it’s a profitable business: Professional dance instructors are usually booked for events such as birthdays, weddings, and private parties. Particularly, Zumba instructors are in demand in the Philippines. Dance instructors can charge around Php 1,500 to Php 35,000. Ideal for: Dancers who want to share their talent and love for dancing while earning from this profession. Doing what you love while making money from it. Staying fit and healthy while helping others to achieve the same for themselves. Need to be trained and licensed as a dance instructor first before teaching dancing lessons. Physically draining and requires a lot of energy. Why it’s a profitable business: There’s a market for guitar lessons in the Philippines. Parents enroll their children for music lessons, especially during summer. Guitar teachers charge from Php 8,000 to Php 15,000 per 12 lessons (one hour each). Ideal for: Music Education graduates or those who are highly skilled in playing guitar with good communication skills. Pros: No need to build a music studio; guitar lessons can be taught at the client’s home or even online. Cons: Need a lot of patience, as students have different learning paces and behaviors. Why it’s a profitable business: Millennials these days have become more conscious of their health, and yoga is one of the popular ways to achieve a fit and healthy body. With proper time and energy management, there’s a potential to earn high income from teaching yoga classes. Capital: Php 88,000 to Php 170,000 (for a teacher training course). Ideal for: Fitness and wellness enthusiasts who want to make teaching yoga a full-time career. High demand for private yoga classes. Gives motivation to practice yoga more. Enjoying the health benefits of yoga. Expensive yoga teacher training courses that can cost as much as Php 100,000+. Intense competition; the market is full of yoga teachers, especially in cities like Manila. Risk of exhaustion and injury. Why it’s a profitable business: The number of vehicle owners in the Philippines is growing. So is the demand for car wash services. Running a car wash can earn you a net monthly income of around Php 30,000. Ideal for: Car care enthusiasts who can find a high foot traffic location in a residential area. Ability to offer affordable services (as low as under Php 100 for every sedan). Cons: Requires spending a lot of time to study the different aspects of operations, such as auto detailing and engine wash.
Why it’s a profitable business: You won’t run out of customers (both car and motorcycle owners) who need to have their flat tires pumped or repaired. Simple jobs like these can earn as much as Php 1,000 to Php 2,000 daily. Capital: Php 15,000 to Php 20,000. Ideal for: Business-minded people who know how to repair tires and want to grow their small capital. Cons: Challenge of providing higher-quality services when you have a lot of competitors in your area. Why it’s a profitable business: There’s a growing demand for laundry businesses in the Philippines. Laundry shops sprout like mushrooms in condo communities and residential areas in Metro Manila where working professionals barely have the time and space to do their own laundry. Capital: Php 250,000 to Php 5 million. Ideal for: Entrepreneurs who can find a location with a steady supply of water and accessibility to target customers. Steady demand from customers, especially if the business services commercial establishments such as salons, hotels, and restaurants. Quick ROI in five to eight months. Need to invest in brand-new washing machines (which are more expensive yet sturdier than second-hand units) to avoid high maintenance costs. Tight competition with other laundry shops within the vicinity. 32. Personal Concierge and Errand Services. Why it’s a profitable business: Running errands for busy clients and businesses (such as paying bills, laundry pickup and delivery, gift and grocery shopping, and product delivery) make a great source of income. Ideal for: New entrepreneurs and former taxi or ride-hailing drivers. No need for special skills, training, and equipment; only a motorcycle or car is enough for starting the business. Fulfillment from helping busy people save time. Dealing with demanding clients and schedules. Unstable income (Revenues peak during busy times such as holidays but drop during lean times). Why it’s a profitable business: Mushroom farming has so much potential in the Philippines where there’s a growing demand for gourmet and organic mushrooms (which are used as ingredients for chicharon, noodles, burger patties, and other organic food products). Only 2% of mushrooms are locally grown (the rest are imported), so there’s a large market for this high-value crop. Capital: Php 5,000 to Php 10,000. Ideal for: Agripreneurs who want to try something new for their business and have the ideal location with the right environment for growing a certain type of mushroom. High income potential (like this entrepreneur who makes Php 80,000 to Php 100,000 weekly selling oyster mushrooms). Can grow mushrooms in your own backyard. Easier to cultivate compared to other crops (Mushrooms aren’t prone to pest attacks and thus don’t need much pesticide). 66% ROI in as fast as four months. Cons: Need to thoroughly study and understand the nature of mushrooms and their production before starting the business.